What does Mariah Carey do to get into the holiday spirit? Well, it seems that she dances around to her own Christmas song with her children. 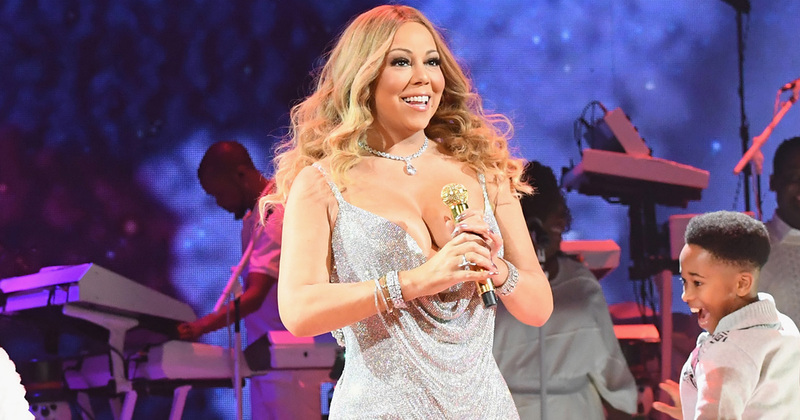 Yep, Mariah Carey shared a video of her and her son Moroccan dancing and singing along to “All I Want For Christmas Is You” and it might be the cutest thing EVER. It’s safe to say that Mariah epitomizes the holiday season. Not only has the legendary singer joined James Corden for an extra festive edition of Carpool Karaoke, but she also kicked off the holidays with a performance of her Christmas classic at Disneyland, too. Well, it seems that Mariah is truly in the festive mood, as she shared the sweetest video on to Instagram of her dancing around her kitchen to her holiday classic. "Merry Christmas everybody! I'm making my favorite sauce and I hope you're enjoying the Yuletide cheer! ," she captioned the video. Of course, this being Mariah Carey, the star is dressed head-to-toe in a red silk dressing gown that just exudes glamor. What’s more Moroccan appears to be having the most fun ever, and he knows ALL the lyrics to his mother’s famous song. He really goes for those high notes, too! SO. CUTE. Now, it might be odd to say that we’re jealous of a five-year-old, we have to say that we’d do absolutely anything to have a festive singsong with Mariah Carey in her kitchen while she makes us pasta sauce. The actual dream, tbh. While “All I Want For Christmas Is You” might be one of the greatest gifts Mariah has ever given us, the singer is also starring in her own fly-on-the-wall documentary series on E! and it’s totally wild. It’s basically the greatest reality show of all time. Given that most of us are winding down before the holidays, we’re totally going to recreate Mariah’s Insta video, make some pasta sauce, and then settle in to watch Mariah’s World. What a time to be alive.